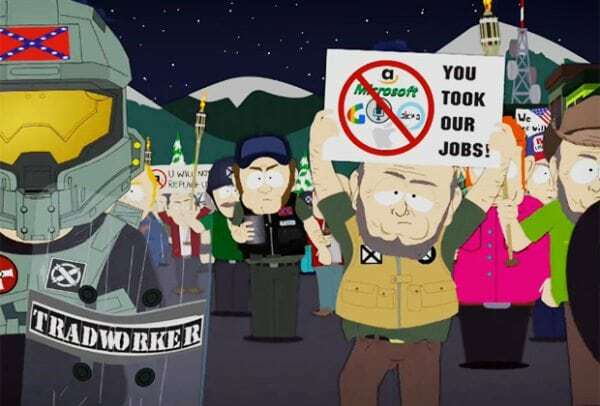 As we return to our favorite foul-mouthed fourth-graders, they are asking their Amazon Tap (Alexa) to “add big hairy balls” to Cartman’s shopping list. 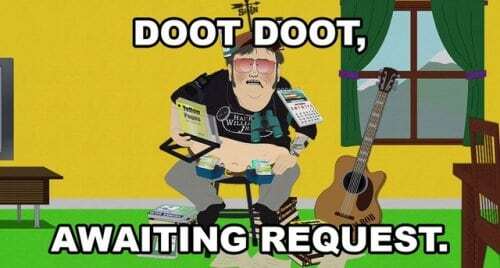 The last time we saw them was Dec. 7 of last year, and it was certainly one of the weaker seasons of South Park’s 20 year run. They parodied big stories in the news such as the presidential election, trolling, and Collin Kaepernick’s protest. However, lots of people, from fans to reviewers, felt that the season was lacking in quality. 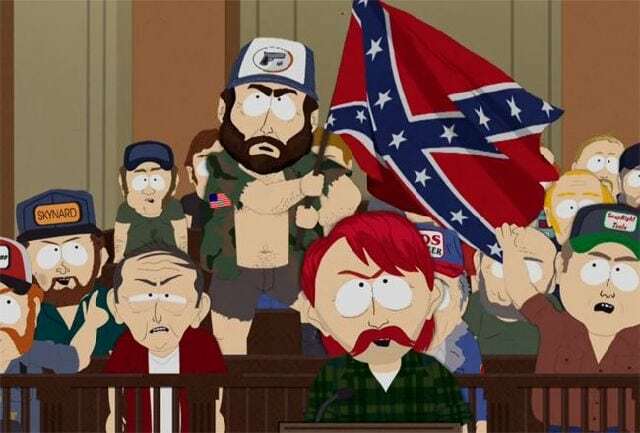 They start this season with the protesters of Charlottesville directly in their crosshairs, whom they’ve depicted as a bunch of confederate flag-toting rednecks whose dialogue consists of mostly “dey took er jebs (translated into “they took our jobs” for those who speak real English).” This isn’t their first appearance, however, as we’ve seen them before in season 8 in the episode “Goobacks” when a bunch of darker skinned people who didn’t speak English were coming to South Park and taking their jobs by doing them for less *wink wink. * Since they’ve returned it’s obvious that they’ve come back to protest a group that has taken their “jebs,” but instead of their anger being aimed at immigrants, people of a different race or any group of people at all, it’s aimed at Amazon’s Alexa and other various devices with similar functions. 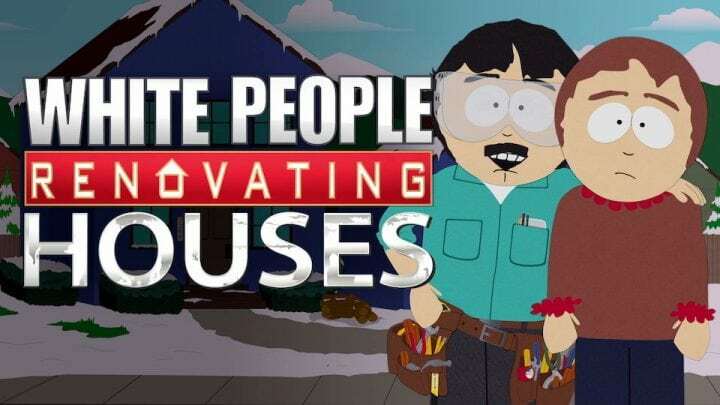 On their way to Best Buy to protest Amazon, Google and Apple, they pass Randy Marsh’s taping of his new show “White People Renovating Houses.” After two separate occasions of them ruining Randy’s show, he goes to confront them because “every time they (you) go around waving confederate flags it makes the rest of them (us) look like idiots,” so Randy decides to come up with a solution.